In a series of curated monthly events, our brand new Weston Studio will be filled with the sweet and soaring sounds of some of the finest Jazz musicians from across the globe. 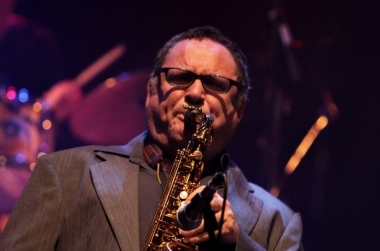 Presented by Jazzata, the series kicks off in April with firebrand Israeli ex-pat saxophonist and activist Gilad Atzmon, followed by the euphoric Indo-Jazz musician Arun Ghosh in May, who returns to Bristol following his sell-out show at Bristol Jazz Festival 2018. The series concludes with a fusion of Beatles re-imaginings and self-penned compositions from Jonathan Gee and Gaetano Partipilo with their New Beginnings Quartet. An acoustic haven for these captivating acts, grab a drink and join us for this top-notch jazz trio in Bristol Old Vic's new home of innovation and adventure. *Tickets must be purchased in the same transaction. Offer available on full price tickets only. A larger than life character with a seemingly abundant store of energy, he not only tours constantly with the Orient House Ensemble but has worked alongside the likes of The Blockheads, Pink Floyd, Paul McCartney and Robert Wyatt. His powerful personal style combines great bebop artistry and Middle-Eastern roots in a sophisticated, sometimes ironical manner. 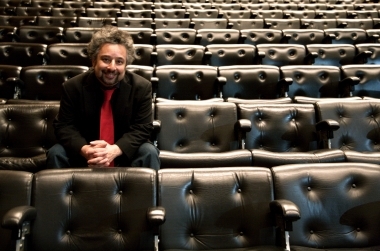 Gilad will be accompanied by Bristol-based Jim Blomfield Trio. Jim has been at the forefront of many impressive jazz projects locally and is a fine soloist and composer, evident on his recent second trio album release. His superb trio will act as a great foil for the exuberance of Atzmon's powerhouse saxophone style. To find out more about the artist, click here. 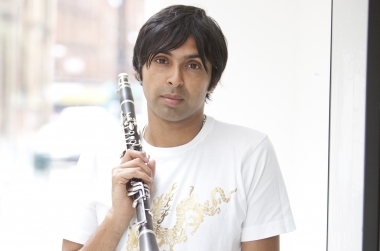 Conceived in Calcutta, bred in Bolton, matured in Manchester and now living in London, British-Asian clarinettist and composer Arun Ghosh makes a welcome return to Bristol, following a euphoric sell-out show at last year's Bristol Jazz Festival. Ghosh, a two-time winner of 'Jazz Instrumentalist of the Year' at the Parliamentary Jazz Awards (2014 & ‘18), has released four albums on Camoci Records. Arun's musical vocabulary and vision reflects his rich geographical heritage, and has emerged as a leading light on UK and international jazz scenes, captivating audiences and critics with his passionate and dynamic performance style, eloquent musical expression and charismatic rock 'n' roll spirit. His ensemble fluidly incorporates jazz, rock, folk, South-Asian and ambient influences. Leading UK pianist and vocalist Jonathan Gee brings a new project created in early 2018 between himself and three great musicians from the Puglia region of southern Italy. Featuring the new rising star of Italian jazz on alto sax, Gee is joined by Gaetano Partipilo with one of the most dynamic rhythm sections on the European scene. Their repertoire combines re-imaginings of Beatles tunes with self-penned compositions. Gee has eight albums to his name, and has worked with American jazz stars Pharoah Sanders, Mark Murphy and David Murray. Partipilo is known for his original style, characterised by a strong mixture of contemporary & mainstream jazz. He has played with everybody from Jason Moran and Dee Dee Bridgewater to Billy Cobham.